The ruling Liberal Democrat Group on Stockport Council is proposing to spend almost all of a £1m government grant on improving our play areas, cleaning our town and village centres and helping charities and voluntary groups. The £1m is part of a £300m transition grant from government for the financial year 2016/17, with most of that money targeted at Conservative councils. 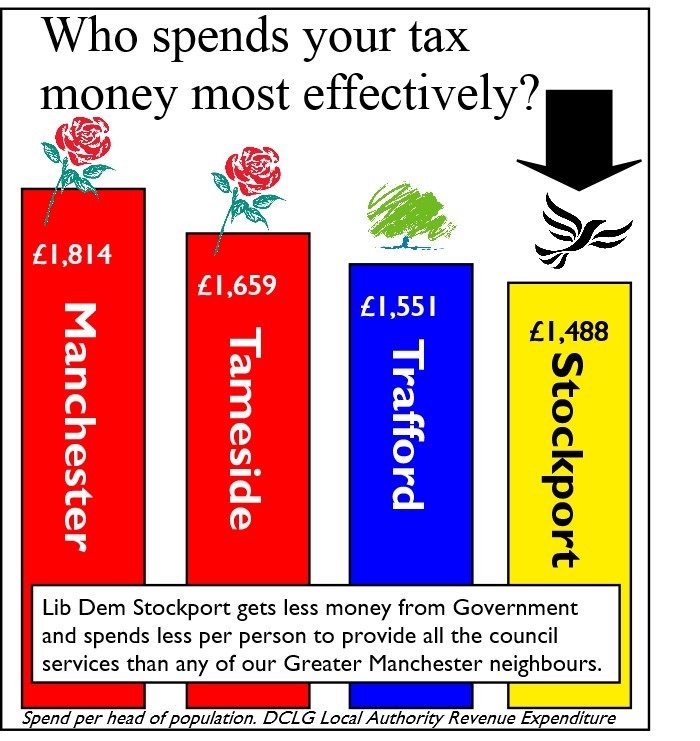 Councillor Iain Roberts, Liberal Democrat Deputy Leader of Stockport Council, added: “We have considered different ways to spend this money including a lower council tax increase but, because it is a one-off grant, that would actually cost tax payers more over the next five years. £400k on improving the play areas identified by a recent independent play review as being the most in need across the borough. £150k transition funding to help the organisations that work with the council to care for our vulnerable, elderly residents. The remainder would be used to support the excellent work of local community groups and to give our towns and villages a “spring clean”.